Rio Hostal Ipanema is a terrace beach house only a few steps away from the notorious Posto 9, epicenter of Rio de Janeiro surf and beach culture. The two floors guesthouse is located in a private road, providing peace and security. 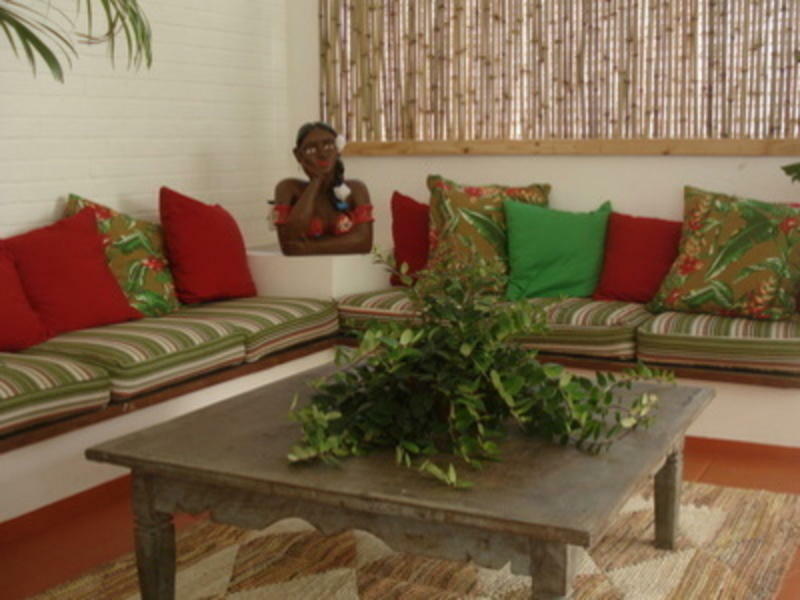 The house decor is soft and minimalist, creating a comfortable living space that fits in with Ipanema indulgent groove. Tropical plants, hammocks and Bossanova tunes help to create the perfect atmosphere for a relaxing holiday which joined to the sensuality and the warmth of Brazilian people becomes an unforgettable experience. Attention: There is no sign on the entrance. The hostel is in a narrow street close by a green gate. Buzz on number 1 to open the door, walk a bit, the hostel will be on your left side behind a blue gate. Bus:40 minutes, Catch the Airport bus (Real Bus) to Ipanema, get off at the first stop on the Av. Viera Souto (the beach front road), turn right into Rua Rainha Elisabeth, Rua Caning is the third road on your right, the hostel is half way down the road on the right side. Bus: Catch bus 128 and get off at Ipanema at Praa General Osorio (a big square, you cannot miss it), walk back towards the supermarket Zona Sul, turn right into Rua Tereza Aragao and then turn left into Rua Gomez Carneiro. Rua Caning is the first road on your right, the hostel is half way down the road on your left. Bus:Catch the Airport bus (Real Bus) to Ipanema, get off at the first stop on the Av. Viera Souto (the beach front road), turn right into Rua Rainha Elisabeth, Rua Caning is the third road on your right, the hostel is half way down the road on the right side.